Weekly Wolverine Watch 8: Invincible Iron Man #598 — Yay, and it was … good? – AiPT! Weekly Wolverine Watch 8: Invincible Iron Man #598 -- Yay, and it was ... good? Weekly Wolverine Watch 8: Invincible Iron Man #598 — Yay, and it was … good? And lo, with the publication of last week’s Invincible Iron Man #598, the resurrection of Logan is complete. 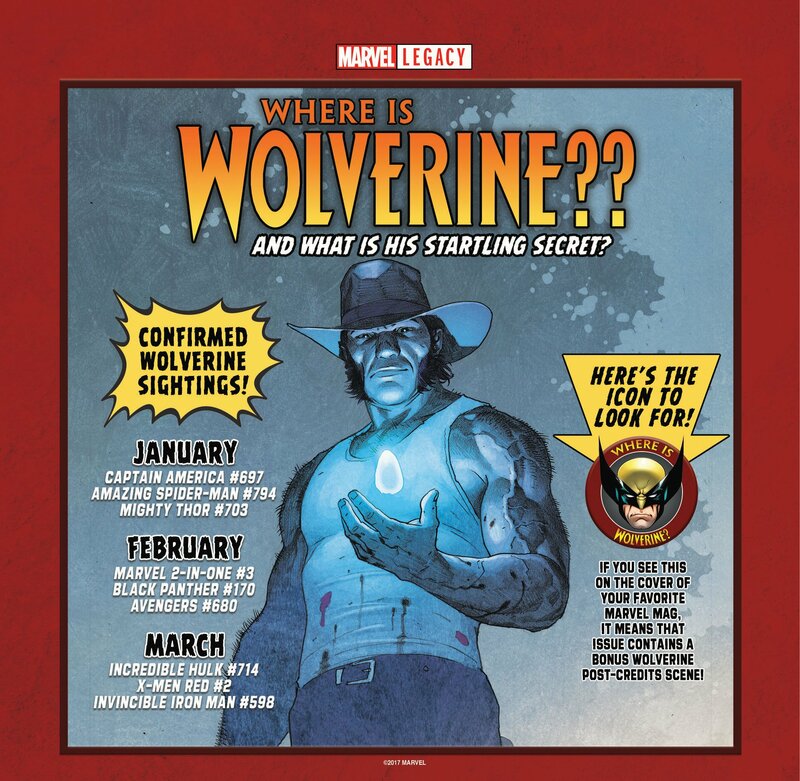 What once took the Son of Man three days has taken the son of John three months, proving to the doubters that mystical rejuvenation does in fact outpace a mutant healing factor. Yet with the pilgrim Wolverine, it is the journey and not the destination wherein the drama of our story resides. Though not descending through seven layers of Hell, he’s instead thus far risen through seven Wednesdays of purgatory, not really here, not really there, and not really meaning anything. Who could forget the soul-gripping moment when Logan walked into a bar, resisting Satan’s temptation and not ordering a thing? Or when he stood, motionless in the desert, for what seemed like 40 years? It all pales in comparison to the uplifting conclusion, revealed to you now by the grace of the Holy Mouse. And with the return of the prodigal, we invite you to rejoice with us, celebrate, and relive the greatest story ever told.